At Midsummer, I was walking in Haga with Mrs SC and a visiting American friend. 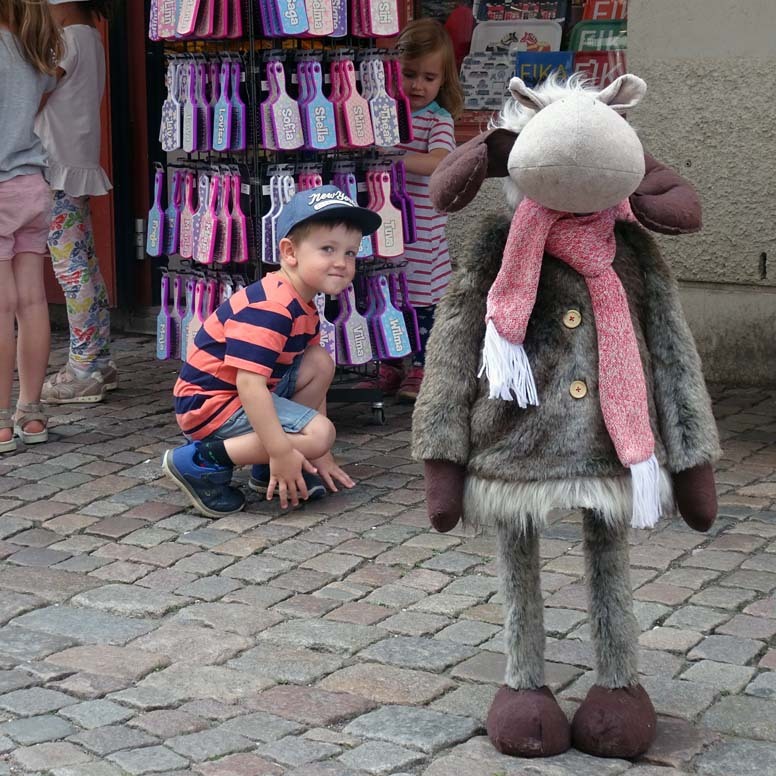 While they were talking, I saw this advert-elk and crouched down to photograph it. The little boy saw me and crouched down too. It was a great year for butterflies and bees this year – or maybe I was just lucky. 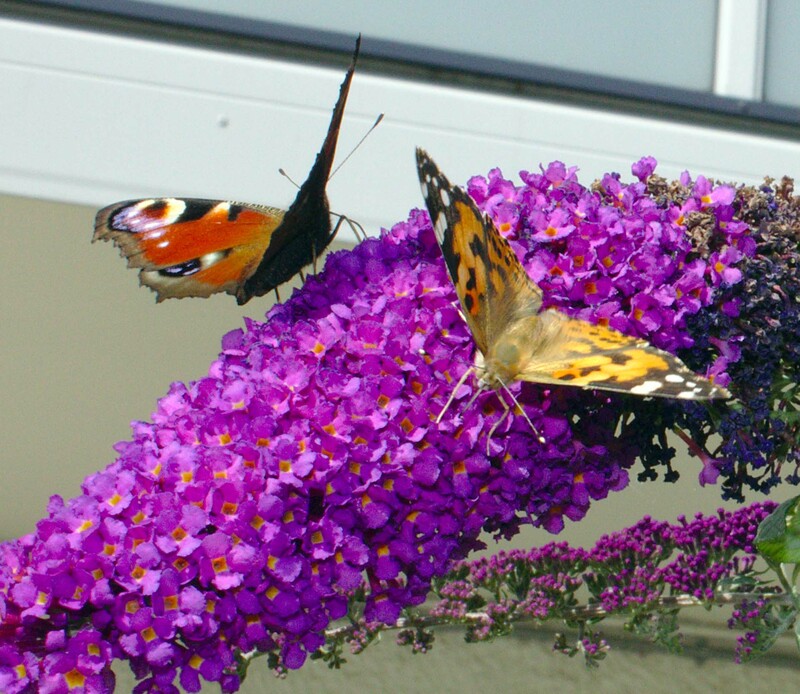 Just outside my front door, this buddleia was always busy with different varieties of both insects. A good subject to practice using my new Canon Macro lens on. In July we visited Lena, a former colleague of mine and a current colleague of Mrs SC. Lena has a cottage by a lake up in Bohuslän. Her dog, Aliz, loves the lake and loves fetching her toys. After she’s brought one back, she asks to play again. 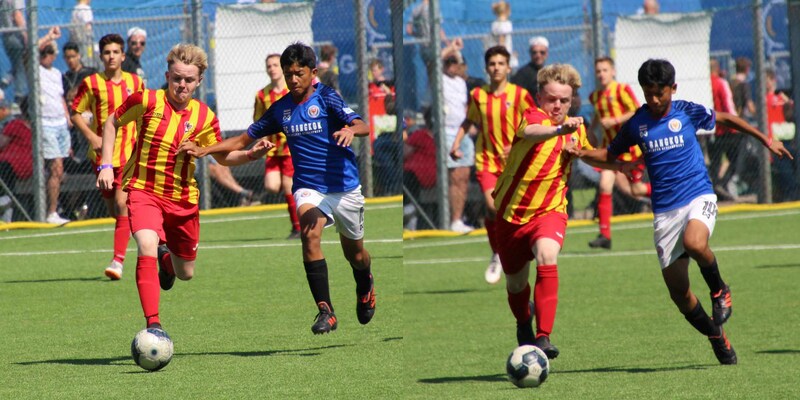 The Gothia Cup (aka the World Youth Cup) is the premier international football competition for youngsters. Every July hundreds of teams from dozens of countries come to Gothenburg to take part. A good opportunity to try out a zoom lens and the “sport” setting on my DSLR. I took this photo in early June in the Gothenburg Botanical Gardens . 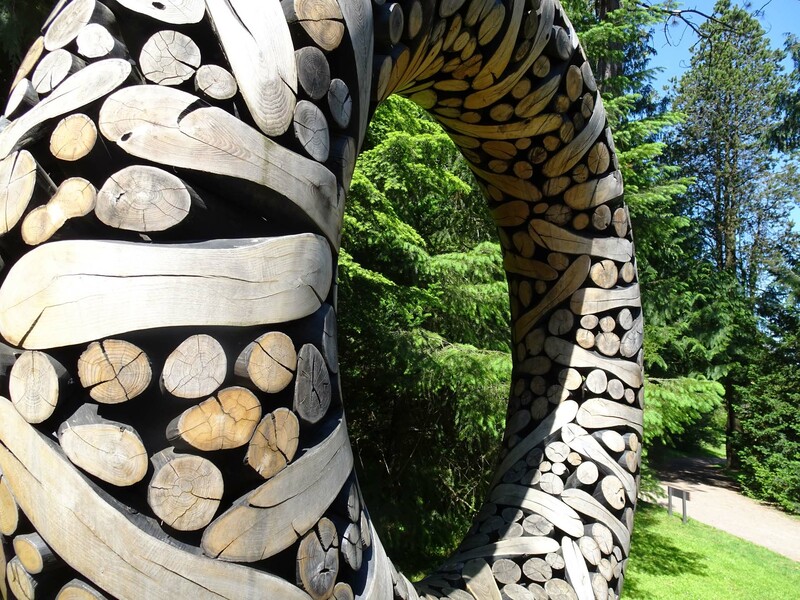 It’s a sculpture made of chestnut wood by Japanese artist Jaehyo Lee. But it’s also a potential insect hotel. The artist and the Botanical Gardens hope all the nooks and crannies will be enticing to many different insects, but perhaps especially to solitary bees as winter quarters. 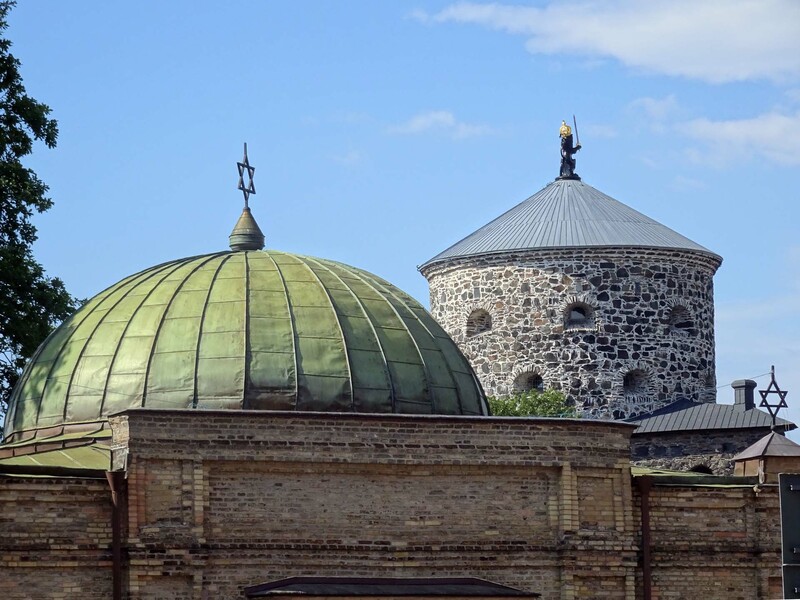 This is the dome of Gothenburg’s old Jewish cemetery at Svingeln, with the tower of the northern redoubt – Skansen Lejonet – in the background. Blame the Twitter/Instagram tradition of “Throw-back Thursday” for this. 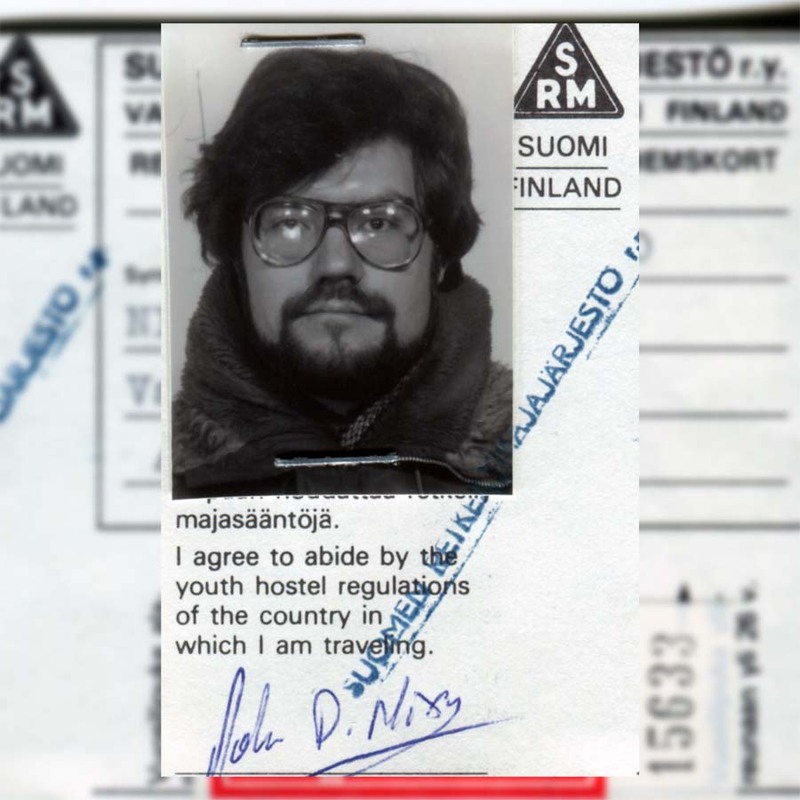 I was going through a box of old photos and came across my International Youth Hostel identity card. It was issued in Finland in the autumn of 1983 (I think). I should have used this as the basis of one of my illustrative drawing last week for the Barber’s shop quartet! Sunset behind clouds. In the middle of the long hot summer, Mrs SC and I visited my mother in England, where the weather was more unstable. 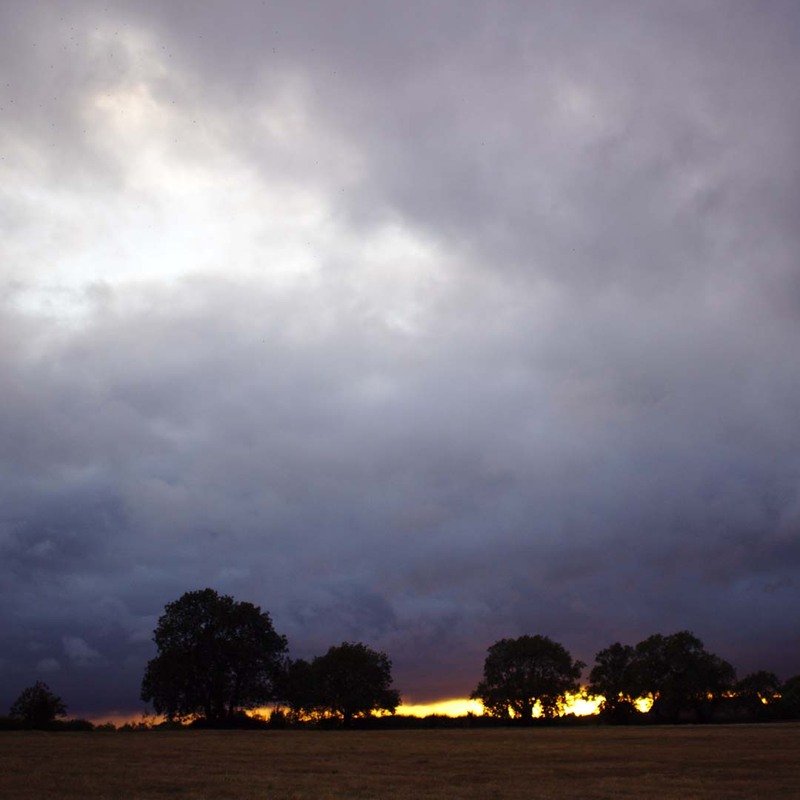 These heavy clouds rolled across the sky over Northamptonshire, but barely dropped any rain. Visiting my 96-year-old mother at the very end of July, I put my head into her bedroom. 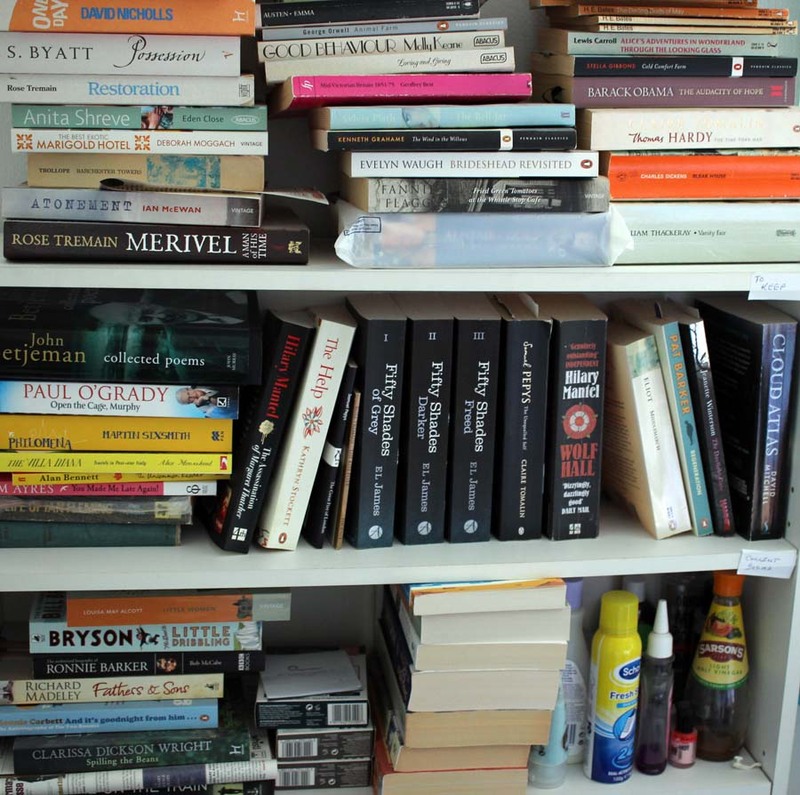 This was what her bookshelf looked like. John Betjeman, Hillary Mantell, Evelyn Waugh, both Pat and Ronnie Barker… and the 50 Shades trilogy. It doesn’t look as if she’s read the latter. Yet. 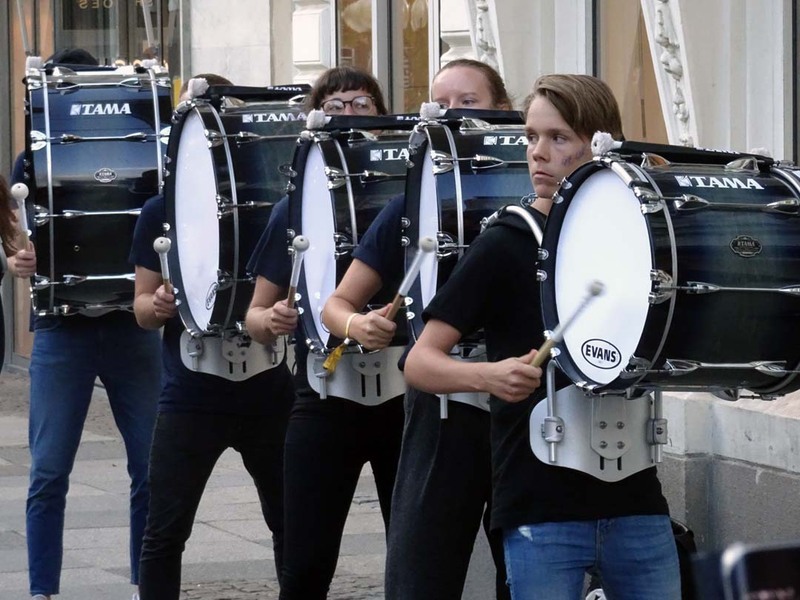 Gothenburg Drum Corps performing on the Avenue during the Kulturkalaset. I forgot to include this one in the photo essay about the event. 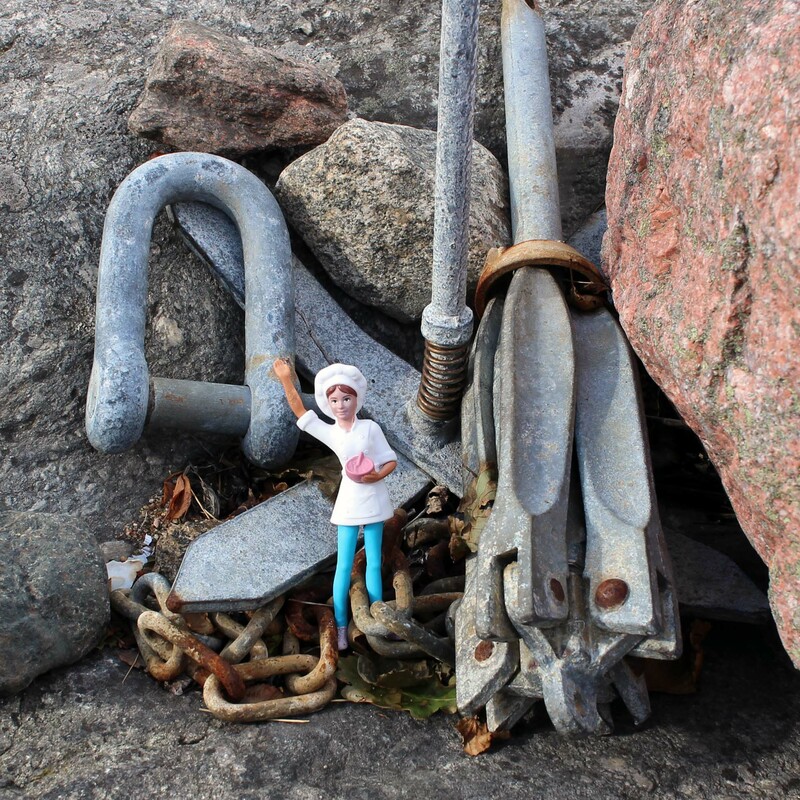 In August, after the heat of the summer broke in a first storm, we we out by the seaside. I found this unexpected piece of flotsam. Not drowning but waving! It’s from the same day as I took the photo of the little cook waving. The rain was very localised that day. 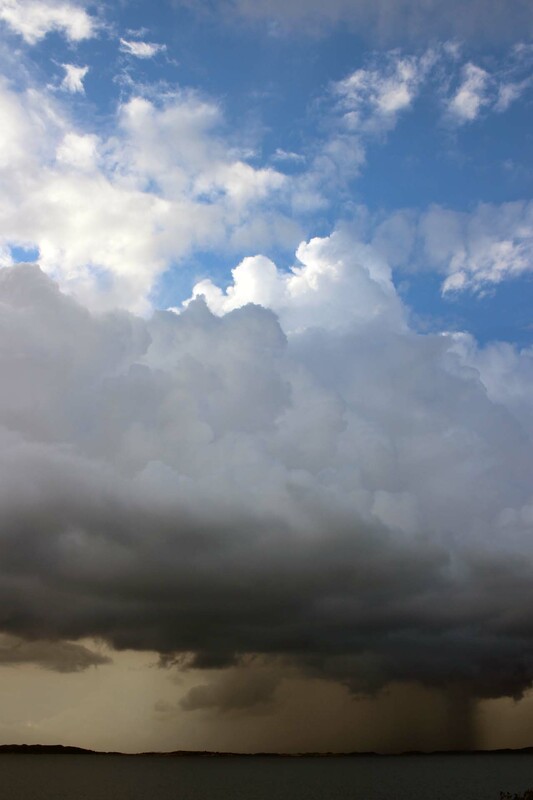 Out over Gothenburg’s northern archipelago , the rain was falling , but above the rain-clouds, a clear blue sky.